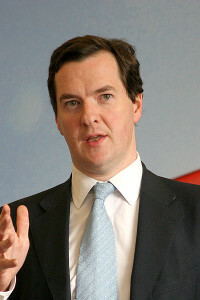 Chancellor George Osborne has set out plans to cut the Department for Transport’s budget by 37 per cent by 2019-20. The DfT was the big loser in the chancellor’s Autumn Statement and Spending Review, along with the budgets for energy and the environment. However, the Chancellor allocated £250m in funding for new facilities in Kent to solve problems caused by Operation Stack is good news for the logistics industry. Planned transport cuts include a reduction to the subsidy paid to rail franchises through “reaping the efficiency benefits of competition”, and eventually withdrawing the TFL Resource grant, ‘representing a six per cent efficiency saving to the yearly budget. The Freight Transport Association said the 37 per cent cut in the Department for Transport’s budget threatened vital areas of spending. Policy director Karen Dee said the 37 per cent cut in the DfT’s resource budget was “very significant” and would undoubtedly put at risk some important areas of spending such as the Mode Shift Revenue Support Grant, which helps to encourage freight onto rail, and spending on enforcement activities. The association said it would be encouraging the department to ensure these vital areas of spending are protected when it takes decisions on allocating its smaller budget. The Road Haulage Association has been pressing for £150m in funding for truck driver training. It said it was “extremely disappointed” that the Chancellor has failed to address this need and said the omission was a threat to economic recovery. Chief executive Richard Burnett said: “Our industry is suffering a chronic shortage of 45,000-50,000 drivers. This is jeopardising supply chains and threatens to put the brakes on the economic recovery. This crisis will only get worse as one in five of the current HGV workforce will reach retirement age in the next ten years. The FTA welcomed the government’s focus on investing in key transport infrastructure projects – both strategic roads and rail – and the chancellor’s recognition that maintenance is also important. He announced a ‘pothole fund’ – £250 million over the next five years to tackle the holes that blight our local roads, on top of nearly £5 billion of funding for roads maintenance, a £300 million increase compared to the previous Parliament.